There’s a big world to explore out there. Put baby in the driver’s seat of her own discovery! 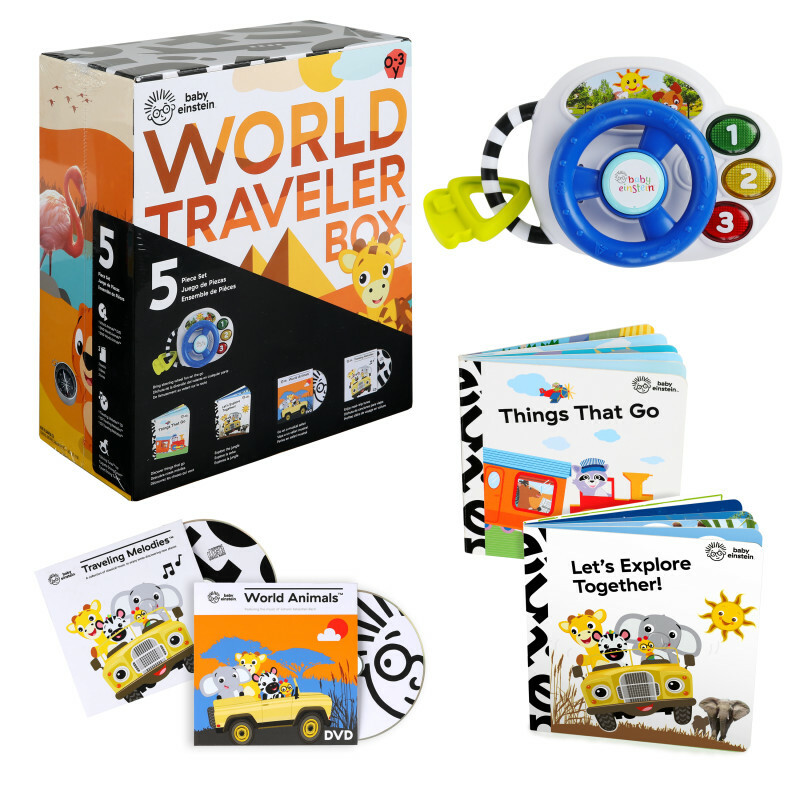 This Baby Einstein box set includes 5 activities made to put adventure in high gear. The engaging steering wheel toy plays 8 classical melodies and fun car sounds to delight your little driver. By encouraging your baby to tap buttons, turn the wheel and dance to the music and lights, this dynamic take-along toy puts the motor in motor skills. Along for the ride are 2 books, 1 CD and 1 DVD for a riveting road trip adventure!